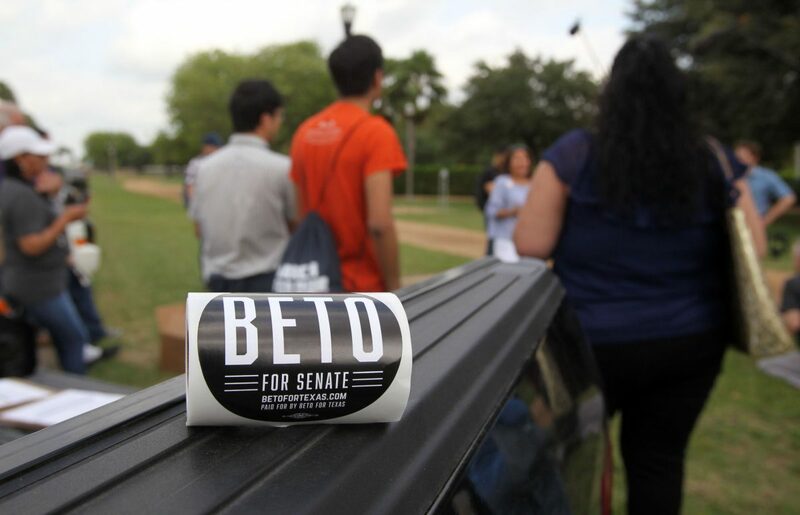 Senate candidate Beto O'Rourke talks with supporters and visitors at Bill Schupp Park in McAllen on Wednesday, May 02, 2018. 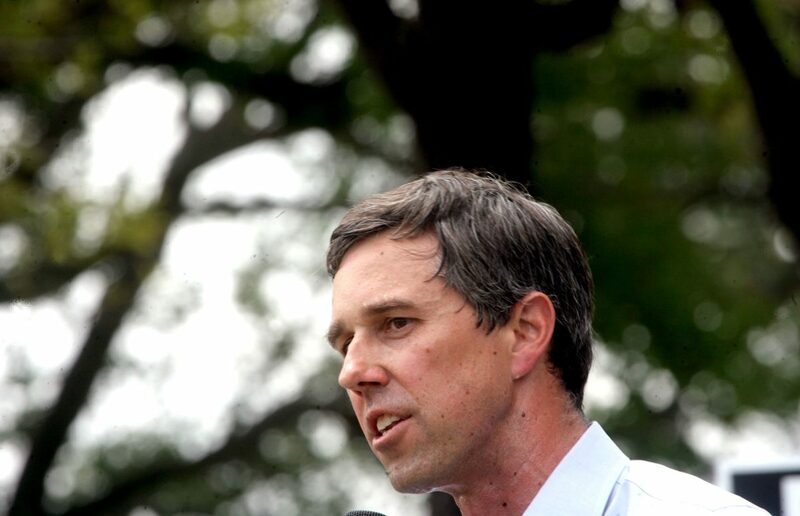 McALLEN — Wearing a local high school baseball cap, Democratic Senate candidate Beto O’Rourke delivered a 20-minute speech before fielding questions Wednesday at the same park where his opponent, U.S. Sen. Ted Cruz, spoke passionately on Independence Day. Despite a smaller crowd than O’Rourke’s two events the day before — there were an estimated 100 people gathered at Archer Park — enthusiasm and curiosity were apparent throughout the audio issues and sweltering sun. This was the conclusion of a day-and-a-half in the Rio Grande Valley that was different than previous visits. 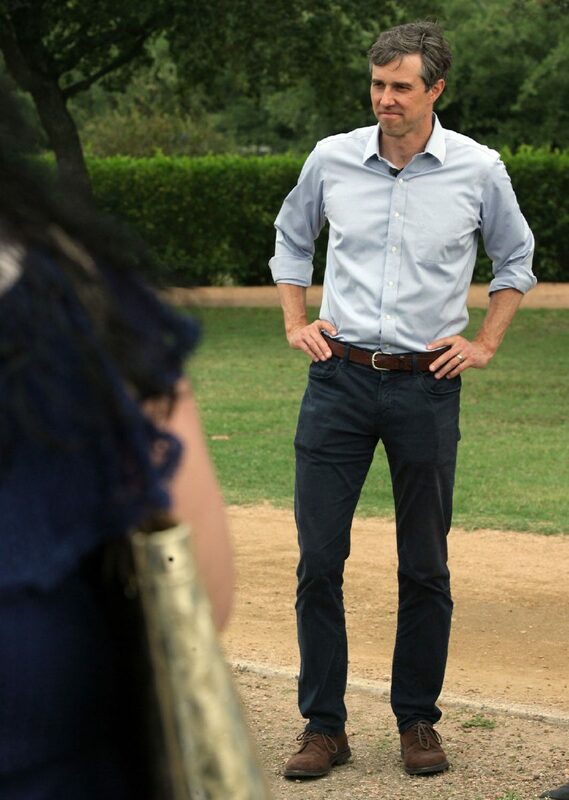 O’Rourke met with community leaders in Brownsville on Tuesday before hosting a town hall meeting at the Veterans of Foreign Wars, which had 250 people on hand, his campaign said. The town hall also featured U.S. Rep. Gene Green of Houston who introduced O’Rourke. He held a rally at H-E-B Park in Edinburg alongside singer Bobby Pulido and Little Joe of Little Joe y La Familia. The rally filled a concourse at the RGV Toros’ stadium with 350 people. After the event, Toros owner and Valley construction mogul Alonzo Cantu hosted a fundraiser at his ranch for O’Rourke. Senate candidate Beto O'Rourke speaks at Archer Park in McAllen Wednesday, May 2, 2018. Senate candidate Beto O'Rourke at Bill Schupp Park in McAllen Wednesday, May 2, 2018. 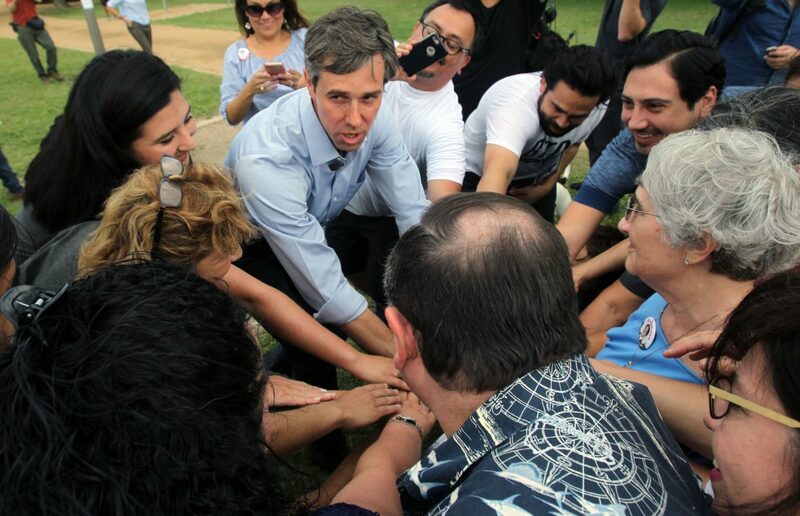 Senate candidate Beto O'Rourke gathers everyone for a huddle session at Bill Schupp Park in McAllen Wednesday, May 2, 2018. 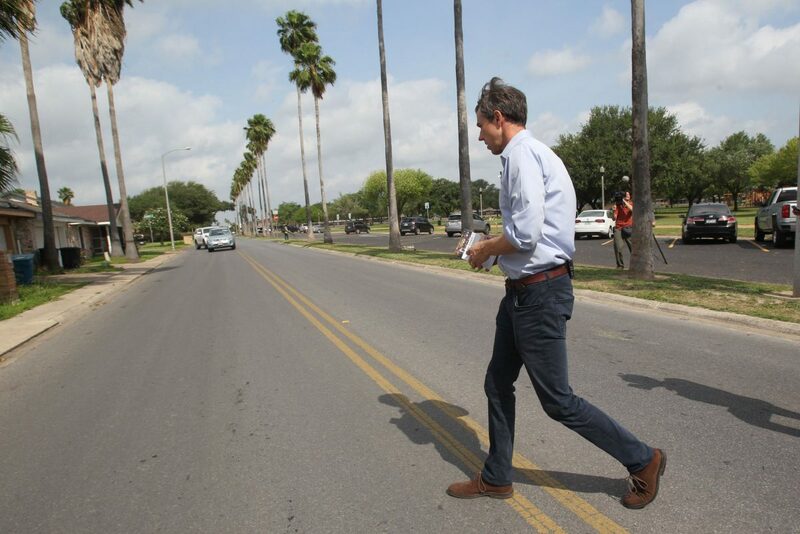 Senate candidate Beto O'Rourke block walks at a neighborhood across from Bill Schupp Park in McAllen Wednesday, May 02, 2018. Senate candidate Beto O'Rourke at Bill Schupp Park in McAllen Wednesday, May 2, 2018. The Senate hopeful has challenged Republican Ted Cruz to six debates, including two in Spanish. A fundraiser of this magnitude, or a rally, had not been held in the Valley for O’Rourke. In his capacity as a congressman, O’Rourke met with Border Patrol RGV Sector Chief Manuel Padilla Jr. on Wednesday. Because the agency does not meet with candidates, Padilla met with O’Rourke in his role as a congressman representing a border district — in El Paso. O’Rourke later went block-walking in north McAllen where longtime baseball coach Lupe Salinas answered when the congressman knocked on his door. Although O’Rourke didn’t get answers at each house, he was invited inside a religious home jewelry store, where the candidate purchased small items for himself, his wife Amy and three children. 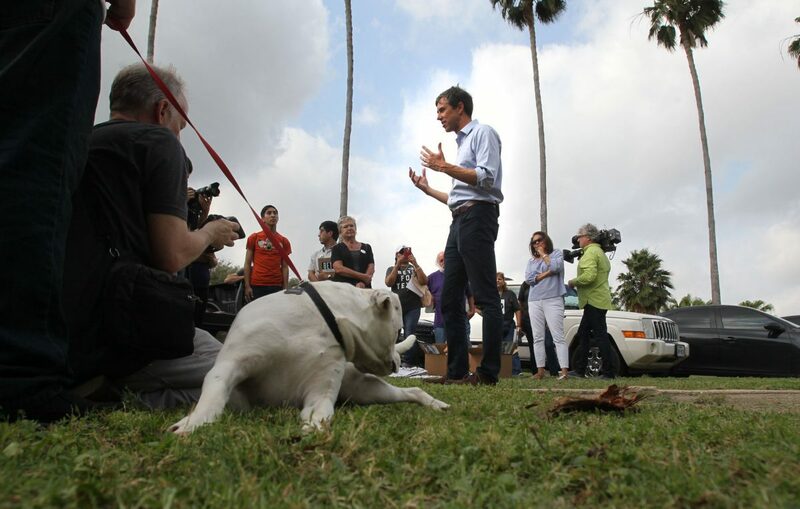 Afterward, O’Rourke went to Archer Park for the town hall, followed by meetings with The Monitor Editorial Board and the Rio Grande Guardian. 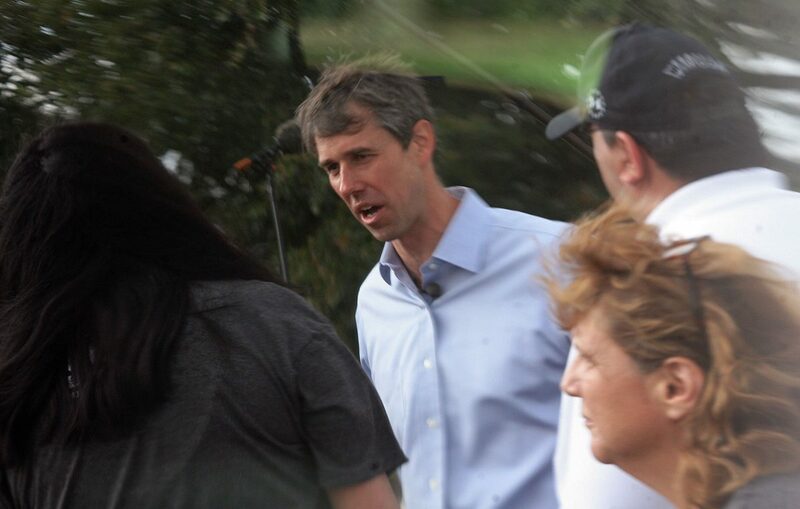 Not only did O’Rourke approach the Valley differently this trip — his first here since before the primary — he also had a campaign co-pilot in former El Paso County Judge Veronica Escobar. She also won the March Democratic primary for the El Paso congressional seat and will likely succeed O’Rourke. “I think he believes that the turnout in the Valley this time will be substantially more this time than past primaries and past general elections,” said Bob Stein, a political science professor at Rice University. O’Rourke didn’t have a strong South Texas performance in the March primary, so a bit of an adjustment is what political observers are watching for here. He captured just 51 percent of the vote in Hidalgo County in March, receiving 19,047 votes compared to opponent Sema Hernandez’s 15,974 (42 percent). He struggled even more in Cameron County, where he received 6,590 votes (47 percent), compared to Hernandez’s 6,167 (44 percent). “I think those primary election numbers reflect a 254-county strategy,” he said. “It would be one thing in anticipation of the primary to spend all your time in blue Texas. We spent a lot of time in blue Texas, including these previous visits to the Valley, and to Webb (County) and Laredo.